It’s FINALLY Spring! The days are getting longer, the sun feels warmer, and you can finally step outside without icicles forming on your nose. What’s more… race season is here! 2018 was a huge year for Conquer Youth. We are so grateful for everyone who made our first year such a success. It has been a busy off-season, filled with growth and connection. We are committed to bringing our Young Lions more challenges, more fun, and more opportunities to practice and show off their ninja warrior skills! What have we been up to in the off-season? So glad you asked! We expanded nationwide with NINE new cities, reaching from Tampa to Phoenix! 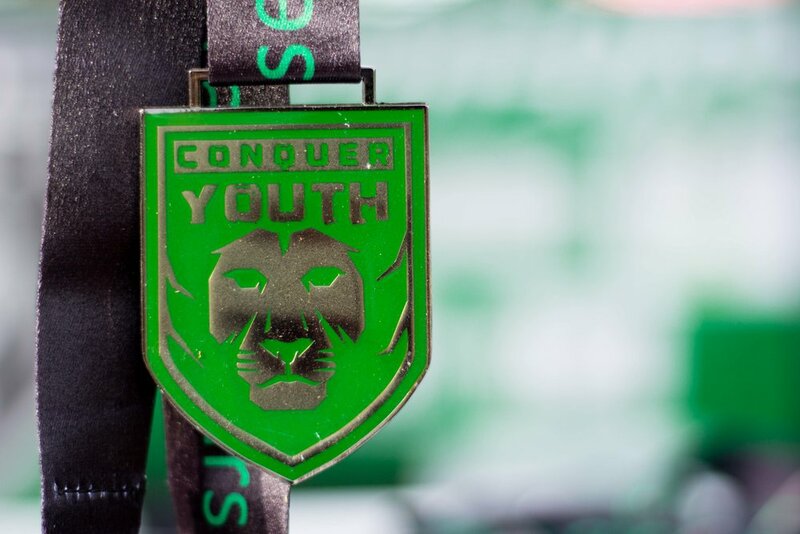 This means we will bring you 16 Young Lions and over 30 Conquer Youth events. We partnered with Shape Up US, a nationwide charity committed to improving the health and wellness of our youth. We added some awesome people to our team who are passionate about ninja, OCR, and the future of our kids! Is your child obsessed with some of the famous ninja warriors and OCR pros? We’re keeping their names a secret for now, but we’ll have a handful of them at our events this year! Stay tuned. A brand new obstacle will debut at our Tampa race! So, now you have an idea of how we have been working to bring you and your kids a better racing experience. But, if you’re new around here you might be wondering why this is such a passion for us. Simply put, we see the challenges our kids face in today’s culture, and we care enough to try to do something about it. Kids today are far less active than their parents were growing up. We are all 80s and 90s kids around here, and there was no such thing as screen time, or at least not the way it is today. Sure, we had TV and video games, but we spent tons more time outside, being active and creative. We used our minds and muscles to have fun, not our thumbs. It is well-documented that kids need 60 cumulative minutes of moderate to vigorous physical activity per day. So many children are not even coming close to this recommendation. Their generation is expected to have more obesity, disease, mental health issues, trouble in school, and a shorter lifespan. We are not okay with this! We saw the need and we took action. Most kids naturally have a lot of energy… they want to run, climb, jump, and get dirty! We created a fun and challenging (but not too difficult) obstacle course race to let them do just that. Your child does not have to be very athletic to do this! Repeating: your child DOES NOT have to be an athlete to have fun with this! A Young Lions OCR will engage kids both physically and mentally as they complete, or even just attempt, the 10 obstacles that are spread out over a mile-long course. Parents, you get involved too as you supervise and assist your kids when needed, encouraging them along the way, no matter their “performance.” They will have a blast and will be talking about it for weeks! Are you excited yet? We are! We’ll see you all soon!